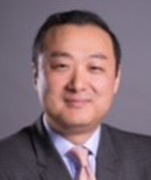 Jae Yoon is the Chief Investment Officer (CIO) of New York Life Investment Management (NYLIM). He is responsible for the ongoing evaluation of the investment performance of the strategies managed by NYLIM's boutiques and affiliate portfolio teams. Additionally, Mr. Yoon serves as the Chairman of the Investment Governance Committee and co-leads the Strategic Asset Allocation & Solutions (SAS) team which oversees the portfolio management of MainStay and third-party asset allocation strategies, including both retail and variable product risk-based funds and target date funds, enhanced return asset allocation funds, and asset allocation services for New York Life. SAS also performs economic analysis for New York Life. Previously, he was responsible for investment risk and strategy efforts at NYLIM's investment affiliate MacKay Shields. Prior to joining NYLIM, Mr. Yoon was Head of Quantitative Research, Analytics, and Risk Management at Western Asset Management. Previously, he was with Merrill Lynch Investment Managers where he served as the Head of Risk and Performance for the Pacific and European Regions in Tokyo and London, respectively. Mr. Yoon also worked at JP Morgan Securities in Asia as regional head of Risk Management Control for Fixed Income and Equity Derivative Trading. Mr. Yoon is a CFA� charterholder and holds a FINRA Series 3 and 7 registrations. Education - Mr. Yoon earned a BS in Electrical Engineering and a Masters in Operations Research at Cornell University.